Introducing the Note 8 "phablet" at an event in New York City, executives repeatedly thanked fans who had remained loyal to the device. "None of us will ever forget what happened last year," said Samsung president of mobile communications business DJ Koh. "But, I will never forget how millions of dedicated Note loyalists stayed with us; so let me express my deepest gratitude." The South Korean giant laid claim to being the first smartphone maker to field a "phablet" device - combining features of smartphones and tablets - when it introduced the first Note five years ago. 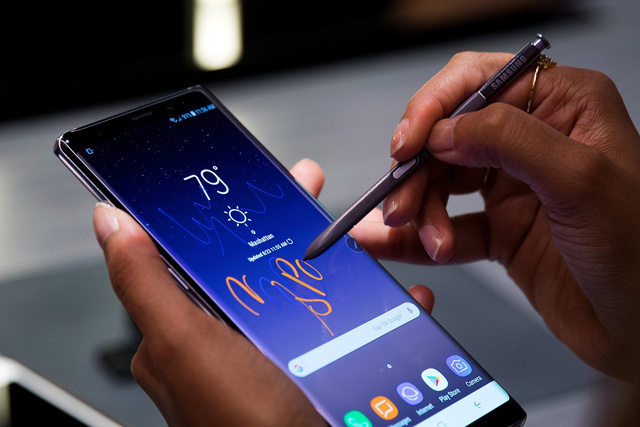 Note 8 features include dual cameras on the back, with improved image capabilities, and a signature "S Pen" for drawing or writing on touch screens. 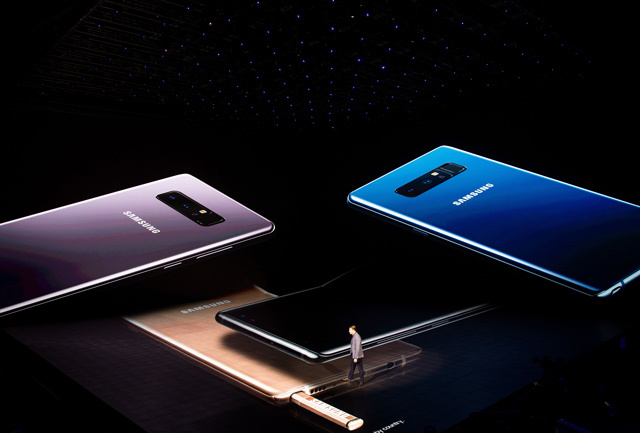 "All in all, it was a good day for Samsung," Moore Insights and Strategy analyst Patrick Moorhead said at the event. "The Note 7 is clearly behind them and now it's onto the future with the Note 8." The analyst depicted the Note 8 as Samsung's best opportunity in years to gain market share in the fiercely competitive premium smartphone market. "Clearly, Apple wants to do something different," NPD Group analyst Stephen Baker told AFP. "Samsung had the Note 7 debacle, but it appears their troubles are behind them," GlobalData analyst Avi Greengart told AFP. "Samsung is doing some amazing things with its display and design." Note 8 handsets boasted "infinity" screens that span edge-to-edge on handsets, to enhance the viewing of video or help to juggle multiple tasks. "We appreciate the relentless passion of the Note community," Koh said during a presentation focused almost as much on Note fans as it was on the new handset. "They've been a constant inspiration to us, and we designed the new Note for them." In an interview with CNBC, Koh confirmed that Samsung is working on a smart speaker infused with Bixby smarts that will take on home assistant devices fielded by Amazon, Google and Apple.